The beaks of the Skimmers have over thirty special adaptations to the hunting technique in the skull and neck area – such as horn-like extensions on the cartilage of the lower jaw and large attachment sites for musculature on the jaw and cervical vertebrae. The Birding specials in the area around the Chobe River in the north of Botswana, characterized by flood plains, grasslands and riparian woods along the river courses, are real treats for avid birders. The bird list is characterized by many species that love the proximity to the water. These include White-backed Night Heron (Gorsachius leuconotus), Slaty Egret (Egretta vinaceigula), African Darter (Anhinga rufa), African Marsh Harrier (Circus ranivorus), African Finfoot (Podica senegalensis) and Pel’s Fishing Owl (Scotopelia peli). The starting point is Kasane in Botswana. This small town lives mainly from the stream of safari tourists and makes an excellent starting point. Chobe is a great park for bird watching throughout the year, but the best months are from November to April. This is when migrants swoop into the park. Also, during these months a lot of birds are breeding, and large colonies of waterbirds can be found nesting on the sandbanks in the river. The best time for mammals, however, is in the dry months from May to October. To cope with the growing demand for top shots of the rarer species of the Palearctic Bird-Lens is keen to enrich the range of pictures of birds not only in the western palearctic. Trips to remote places like this one to capture images were very successful. The nice image of the blog is only a first impression, what you will find in the gallery in the “Picture Shop” very soon. 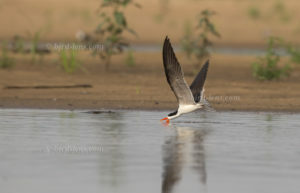 Just give me a message, if www.bird-lens.com could serve you with an image needed before the new pictures are online.